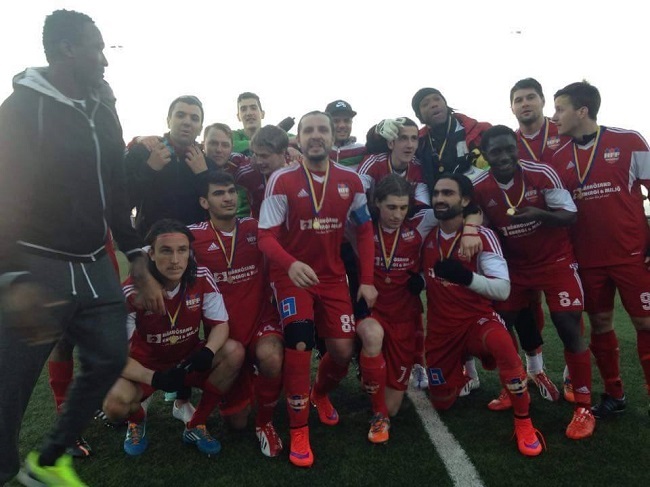 On May 6 Harnosand FF, fighting it out in the Swedish second division, took home a prestigous trophy after outshining Solleftao 2-1 in the District Championship Cup also known as the Super Cup. This was an important victory for Liberian midfielder Abraham Lansana whose goal had kept Harnosand in the second division last year. This victory encourages “me to look forward to more victories and doing well in the league”, the 21-year-old defensive midfielder told Nordic Africa News on the phone. Lansana, who joined the club is 2013, has established himself fully as one of the club’s dependable players after a tough start in his career with the club. On the final day of the last season he scored the lone goal that made it possible for the team to maintain its spot in the second division. Harnosand had had a bad spell in the latter stages of the league and was facing relegation. 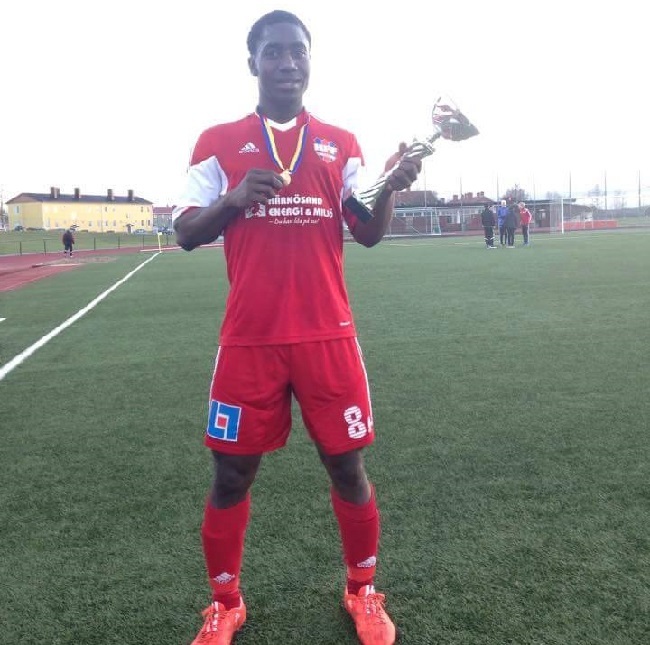 A back pain at the time had prevented the player, who once received a called up to the Liberian national youth team, from action for almost two weeks, taking him out of the effort to keep Harnosand in the league. Fortunately for the club, Lansana bounced back and on the season’s last day struck the only goal that stopped his club from moving one step below. Lansana is also not shy about his willingness to play for his country whenever he’s called upon. Wearing the red, white and blue colors of Liberia, he believes, should be one of the aspirations of every Liberian player. For him, it is also a national duty that he looks forward to.